For the past 2 decades Miracle has been a trusted technology partner of IBM for delivering innovative IT Solutions that enable better business results. Customers today are seeking a partner that can consult on all aspects of their business and manage the entire life-cyle of their IT assets – a tall order for one company. It is not only important to select the right product for your business needs, but it is also critical to get proper guidance on how to leverage the capabilities of a product to your advantage. Over the years we have seen numerous customers not able to utilize IT products to the full extent and hence not see results as expected. Being a Premier IBM Business Partner and an expert team of players in the IBM technology space, Miracle is the right partner to help and guide you in your software procurement and renewal process. Through our Centers of Excellence and Innovation Centers, we can help build free-of-cost POTs/POCs to showcase the benefits of an IBM product for your business. This helps you to get a better understanding of the full feature set of a product and in turn make the right choice for your IT. We work closely with customers in collaboration with IBM to ensure that we deliver the right product to you. We also have an extensive team of renewals reps who can help you in managing your licenses and software renewals. Miracle is also a part of Value Advantage Program which helps us to provide deep supplier discounts, which become even more lucrative when the Software Sales are combined with Solutions and Services. Along with our partnership with IBM, we work in collaboration with one IBM’s leading software distributors Avnet Technology Solutions. 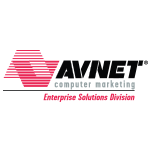 Along with Avnet, Miracle continues to help large and mid-sized customers in the North American market to purchase IBM Software and also renew their existing licenses and subscriptions. Miracle also has close ties with IBM Global Finance to provide financial credit to customers during purchases of large IBM Software and Renewals. Miracle is proud to say that, it holds more than 250 IBM Sales and Technical Mastery Certifications, which in turn helps us to provide better benefits during Software Sales.